While being chief sauce maker in the household this recipe came straight from management. It's great and absolutely perfect with a nice steak! The general idea is to mix hot sauce to mustard and add some cracked pepper. The ratios are per taste, taking into consideration how hot the sauce, the mustard and pepper are. The hot sauce is a fermented variety I make up with red habaneros. 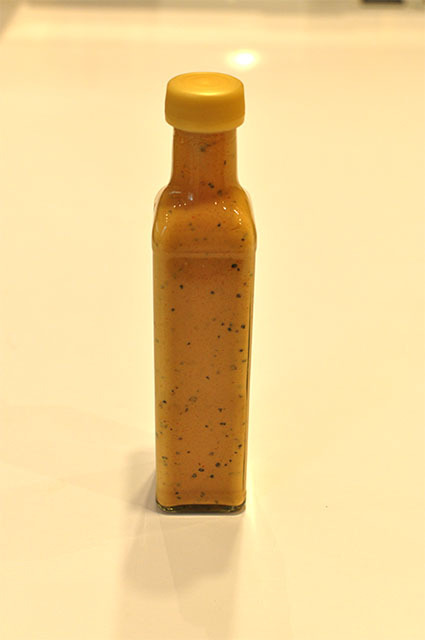 It's heat can vary, so in the past I've used a ratio of mustard to sauce of 1:1. The current batch of sauce is a bit hotter so I used a ratio of 2:1 here. Parker house rolls, carved ham, and that sauce! D3, try a version with some of that chili garlic sauce. Good point THP - I'll have to work out how to add some garlic to it! Wasn't really that reason was because he likes to use that Huy Fong stuff by the gallon and tinker with it. looks and sounds good. i need to try this. 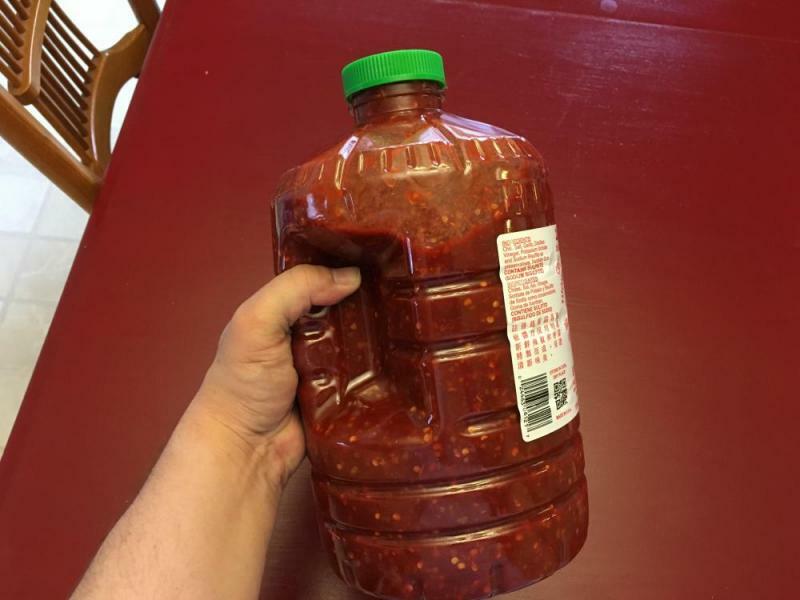 But even better (I hope) I have a Sriracha style ferment on the go at the moment, waiting for it to finish. Therefore if the stars align and all that I'll be able to try it with that.